Everyone will know, neighbors, friends and the rest of the world, that you are turning 50 with a personalized photo gifts banner like this! 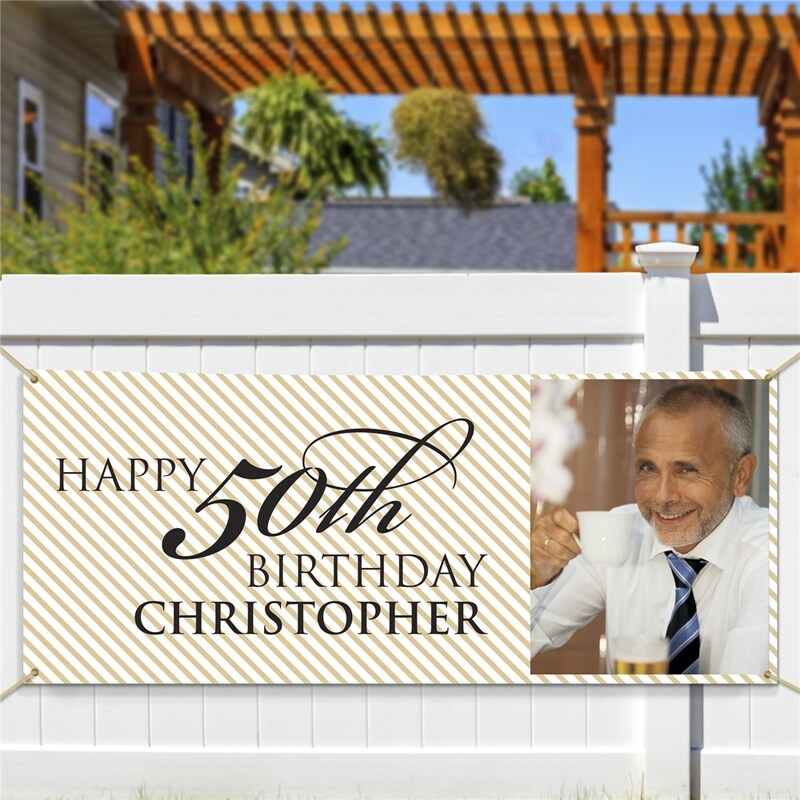 This 50th birthday banner may be personalized with any photo, and your name, to make a great way to congratulate your this milestone birthday! Buy Personalized Picture Gifts Today!